This is one reason Applied Ideals invests so much time searching the world for dreamers improving the world. We’re connecting a global community. We look for social enterprise leaders addressing any of the United Nations Sustainable Development Goals. Below are just a few people we’ve had long (sometimes very long) conversations with in the past few months. Their inclusion here does not indicate they officially endorse Applied Ideals. What kinds of people do you want to meet? Let us know. We’ll keep an eye out for you. Stake helps shareholders, like you, petition funds and companies to improve their social and environmental impact. Learn more. 1Earth Institute Inc is a global Indigenous-Western partnership. We stand for the merging of two distinct bodies of knowledge: Indigenous traditional knowledge with sustainability and innovation. Learn more. Ashoka builds and cultivates a community of change leaders who see that the world now requires everyone to be a changemaker. Together, we collaborate to transform institutions and cultures worldwide so they support changemaking for the good of society. Learn more. Sidai Africa is a social enterprise in Kenya. The company has over 100 franchised Livestock Service Centres. Each franchise provides quality livestock and veterinary services to pastoralists and farmers. Learn more. Higher Grounds Trading Company is one special coffee roaster. They are Fair Trade Certified™, a registered B Corporation, and donate 1% of sales to their on the ground partner nonprofit. Learn more. The state of Indiana is one of the worst carbon emitters in the United States. Hoosier Interfaith Power & Light’s mission is to bring, “Hoosiers of faith together as stewards of creation to promote renewable energy, energy conservation, and energy efficiency, as a faith response to climate change.” Learn more. The Genius is Common™ movement is about tearing down the Berlin Wall of the word genius. 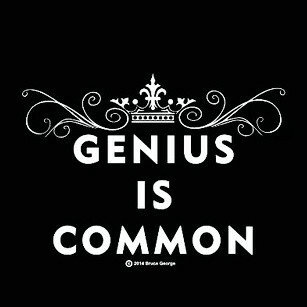 Genius is Common™ means that all beings have a genius in them. Genius manifests itself through each being’s own unique way of expressing their passion, be it their profession, their art, their talent. Learn more. We help optimists change the world. This includes entrepreneurs, social businesses and nonprofits who are making the world a better place. Advance Humanity is a registered B Corporation. Learn more. Third Sun Solar has been designing and installing clean energy solutions for residential and commercial clients across the Midwest since 2000. They are a registered B Corporation. Learn more. Footprint to Wings Inc (“FP2W”) is a 501(c)3 nonprofit launching a race to be the first net-zero carbon state in the United States of America. The first state to achieve a net zero carbon economy – with the best quality of life – wins. Learn more.